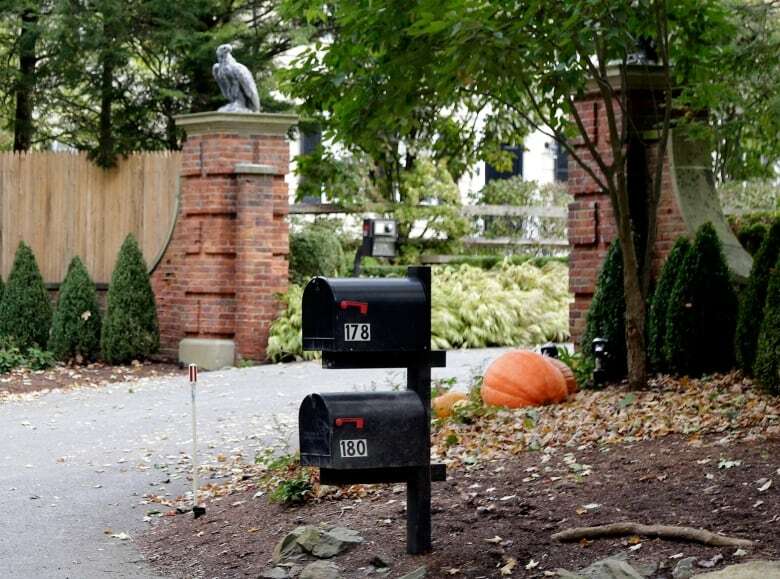 A bomb was found in a mailbox at the suburban New York home of George Soros, the liberal billionaire philanthropist who has been denounced by President Donald Trump and vilified by right-wing conspiracy theorists, authorities said Tuesday. Federal agents safely detonated the device after being summoned Monday by a security officer at the compound, about 80 kilometres north of Manhattan. It wasn't clear whether the 88-year-old Soros was home at the time. Laura Silber, a spokeswoman for Soros' Open Society Foundations, blamed the country's toxic political environment. "The hateful rhetoric that dominates politics in the U.S. and in so many countries around the world breeds extremism and violence," she said in a statement. "In this climate of fear, falsehoods and rising authoritarianism, just voicing your views can draw death threats." Silber would not comment on Soros's whereabouts at the time. Federal investigators were reviewing surveillance video to determine whether the package containing the bomb had been sent through the mail or delivered some other way, officials said. They said it was unclear if the parcel was addressed to Soros. The FBI confirmed it was involved in an investigation but declined to comment. The Bedford Police Department said it responded to the address in the hamlet of Katonah, N.Y., at 3:45 p.m. ET Monday after an employee of the residence opened the package. The person placed the package in a wooded area and called police, who alerted the FBI and the Bureau of Alcohol, Firearms and Explosives. Soros, a Hungarian immigrant to the U.S. who made his fortune in hedge funds, frequently donates to liberal causes. He has pledged to invest a half-billion dollars to programs that help people who flee their home countries because of civil war, poverty or political oppression. Activists frequently post the addresses of homes he owns in Westchester County, north of New York City, on social media, sometimes accompanied by ill wishes. Silber said Soros is calling on "politicians across the political spectrum to tone down their rhetoric." "Words have consequences," she said. Recently, conservative critics have, without evidence, accused him of secretly financing a caravan of Central American migrants to make their way north toward Mexico and the U.S.
Trump himself tweeted the suggestion that "Soros and others" were behind the "rude elevator screamers" and activists with "professionally made identical signs" who protested in Washington during Supreme Court nominee Brett Kavanaugh's confirmation hearings. 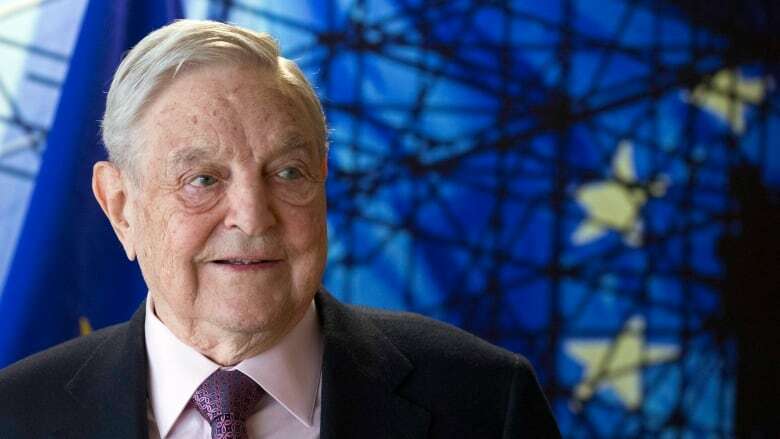 Others have falsely accused him of being a Nazi collaborator during the Second World War when he was a child in Hungary, including Roseanne Barr in a tweetstorm that led to her firing from her hit comeback television show. The Hungarian government under Viktor Orban passed legislation recently that was dubbed the Stop Soros bill. The bill would criminalize some help given to illegal immigrants, and heightens restrictions on non-governmental organizations (NGOs). As a result, Soros's Open Society Foundation announced it was ceasing its Hungarian operation due to the repressive climate. When asked about the bombing on Tuesday, a Hungarian government spokesperson told Reuters: "The matter falls under the jurisdiction of U.S. authorities. After all, the incident occurred there." He declined to comment further. FBI officials didn't respond to requests for more information late Monday.